The BEST Color in the industry. Can’t find your color? Contact us and we will make it for you. IMPORTANT: Husbands must receive permission from their wives before selecting any color! Note: The colors shown are for reference only and should not be used for final color selection. For best results, select product color from the NewLook Color Selection Guide (available from NewLook or your local NewLook product dealer) and within the same light source in which product will be applied. In other words, your screen resolution can affect the color appearance. Some colors have a slight pink undertone indicated with “(PU)” next to the color number. * NewLook products are made-to-order, meaning they are manufactured only AFTER the purchase order is received. “Stocking Colors” does not necessarily mean NewLook or your supplier will have these colors readily available on their shelf. Rather, IF there is a color on the shelf then it would more likely be one of these colors. So contact your local supplier and request they stock more NewLook products today! Endura Faux Fusion™ is a water-based nano-engineered semi-transparent concrete color stain that beautifies and enhances both exterior and interior porous concrete. It can be sprayed or brush applied to create an acid look or faux finish. Apply stain in various intensities with random motions to mottle the color. 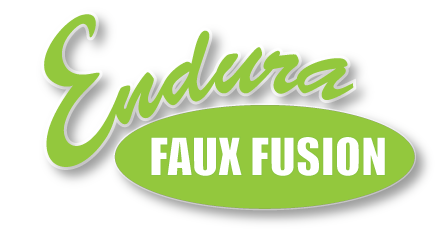 One or more colors may be used wet on wet or dry to achieve a color fusion.Learn more about the Endura Faux Fusion! Note: The colors shown are for reference only and should not be used for final color selection. Screen resolution can and often does affect the color appearance. SmartColor is a premium water-based, nano-acrylic concrete stain used to decorate, restore and revitalize concrete and masonry floors. Formulated with advanced nanotechnology, SmartColor offers tenacious adhesion to a variety of porous surfaces. SmartColor is also available in SC-127 White and SC-128 Black, metallics, and the 20 standard NewLook colors (matched as needed).Note: These colors shown are for reference only and should not be used for final color selection. For best results, select a stain color from the Standard SmartColor Color Selection Chart and within the same light source in which product will be applied. Screen resolution can affect the color appearance.Note: Former colors not displayed, e.g. Grapefruit (SC-117), are still available for purchase with no lab fee for color matching. Restore and revitalize your stamped concrete with TiqueWash™, a superior antiquing concrete stain colorant used to easily create a natural-looking, multi-toned finish on textured concrete surfaces. The high-quality water soluble formula includes ultra-fine polymers for improved surface penetration and strong adhesion when sealed with NewLook SmartSeal™ or other compatible sealers. The TiqueWash powder is mixed with water to create a secondary highlight, a translucent color wash that runs off high spots and settles in the low spots of textured concrete. Use TiqueWash to restore the color of faded concrete or create an antique color finish for stamped concrete. ​Q: Is there a BLACK TiqueWash color?​A: Yes, both Dark Gray (TW-101) and Medium Gray (TW-102) are formulated with a single black pigment. Don’t let the name confuse you.Note: The TiqueWash stain colors shown are for reference only and should not be used for final color selection. For best results, select your color from a (printed) Color Selection Chart and within the same light source in which product will be applied. In other words, your screen resolution will affect the color appearance. Note: The TiqueWash stain colors shown are for reference only and should not be used for final color selection. For best results, select your color from a (printed) Color Selection Chart and within the same light source in which product will be applied. In other words, your screen resolution will affect the color appearance. The colors shown are approximate and, as close as possible, represent sealed areas of relief or texture on stamped concrete where TiqueWash will puddle and dry to achieve its darkest, most concentrated color. NewLook International, Inc.™ cannot control (and is not responsible for) application methods, job site conditions, finishing techniques, curing methods or other job site variables and, therefore, cannot guarantee the final appearance, adhesion or an exact color match. Texturing or finishing techniques, such as brooming or troweling, the use of sealers and slight color-drifts in raw materials will produce variations in color. NewLook International, Inc. strongly recommends representative job site samples (mock-ups) prior to project installation. NewLook TiqueWash is ideal for both interior and exterior, commercial and residential stamped concrete. NanoSet Color is an advanced liquid dye concentrate that adds gorgeous color to porous substrates. The concentrated, water-based concrete dye formula is a proprietary blend of true dye solutions (non-pigment dispersions) that penetrate deeply to create a durable, fast-drying color with exceptional lightfastness. Learn more about the Nanoset Color! Need a custom color? Contact NewLook at (801) 886-9495!